Hotel Antica Locanda Sturion is located close to Rialto Bridge in the Calle dello Sturion, a Riva del vin Side Street. The Hotel is Visible from the Rialto Bridge and from the Grand Canal. Cars are banned from Venice historical Centre. Parking places are located in Piazzale Roma (Garage San Marco as AVA Partner hotel). From Piazzale Roma or Tronchetto you can catch the water-bus. From Piazzale Roma you can catch water-bus numer 1 to "Mercato" and the hotel is located just 2 minutes walking distance. Cars are banned from Venice historical Centre. Parking places are located in Tronchetto (Interparking Tronchetto has a special agreement with Us). From Tronchetto you can catch the water-bus number 2 to “Rialto”. The hotel is located in the opposite side over the Rialto Bridge just 5 min. walking distance. From the airport is available a shuttle water bus named Alilaguna “orange Line”. The stop close to the hotel is RIALTO. From the stop walk to the direction of Rialto Bridge and across it. Take Riva del Vin on the left and walk for 2 minutes and you will find on the right “Calle dello Sturion” and the Hotel. From Treviso airport is available a Shuttle-Bus ATVO that connect in around 40 min. the airport to the terminal bus station, Piazzale Roma. From Piazzale Roma you can catch water-bus number 1 to “Mercato” and the hotel is located just 2 minutes walking distance. Outside the train station Catch Water-bus number 1 with direction to “Lido” (Via Grand Canal). The water-bus stop close to the hotel named ”Mercato”. We are just 2 minutes walking distance from the Stop. (From Rialto Mercato go straight for 200 mt. and on your left you will find a street named Calle dello Sturion. We are at the end of the street). From The Cruise-ship terminal you can reach the hotel with a private taxi-boat or with “People Mover” that is an electrical train that connect the terminal to Piazzale Roma. 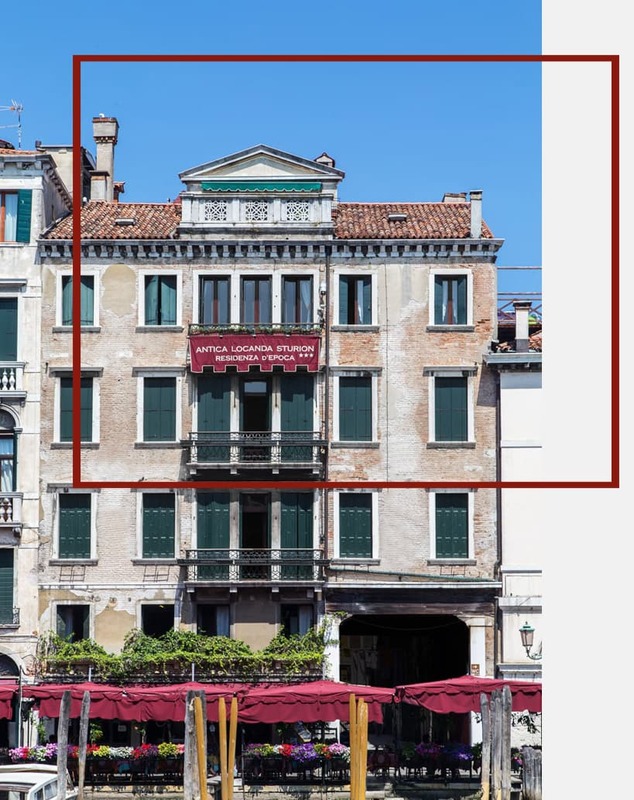 Located in Venice in front of the Rialto Bridge, close by waterbus stop to airport, train station, cruise terminal and Piazzale Roma.